So picture this: the trials of Lady Katsa (Graceling by Kristin Cashore) tossed in with a watered-down Tamora Pierce writing style. And don't fret! That is a huge compliment! Most authors don't write in the same REALM as Tamora Pierce. But as I was reading, all I could think was...Wow. This lady writes pretty well and there was something that hinted at Tamora Pierce style. Was it the political intrigue? The numerous assassination attempts? The family history? I don't know. It was something like a well-done mix. 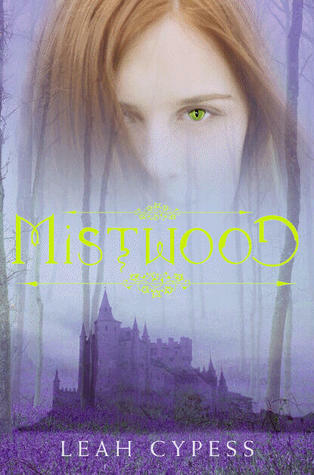 Mistwood was a fascinating read. Isabel is struggling with her lost memory and with the expectations of everyone around her. Her world is confusing as she battles with her human desires--so unlike the feelings the Shifter isn't supposed to feel at all. It was an interesting topic: battling with your own humanity. Have you ever thought what it means to be human? People may claim that you can't get into Isabel's character because she's hello--a Shifter, a non-human. Really? Isabel's inhumanity actually brightly contrasts what is human about her. Her battle was fascinating to me and very touching. She's trying to figure out what it means to be human and as she discovers that, she has a lot of the insecurities we already have. I do hope there's a sequel. Leah Cypess has an incredible style and I loved this story--even though it could have been improved in a lot of places. If she had expanded on a few things, it would have made the book a bit longer. But still. I like it fine just how it is.